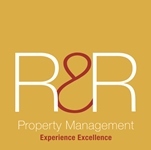 Over 30 years, Rushbrook & Rathbone has built an enviable reputation for providing outsourced property management services, lettings support – and solutions - to private, corporate and agency clients; for individual properties to large blocks or mixed portfolios. A New Study Shows That 43 Per Cent Of Tenants Want The System Of Private Rental Deposits To Be Dropped And Replaced With Insurance-based Alternatives. Just Under A Third Of People Moving From One Privately Rented Property To Another In The Past Two Years Had To Pay A New Deposit Before Their Old One Was Returned, According To A Research Exercise By Consumer Group Which? A Trade Body Is Advising Landlords And Agents Acting On Their Behalf To Take Precautions To Protect Their Investments If They Agree That Tenants Can Keep Pets.